The Customer Account Merging Tool allows you to bring together the account history of multiple customers into one account. This tool is designed to help you streamline your customer records by allowing you to remove inadvertently created duplicate customer entries. 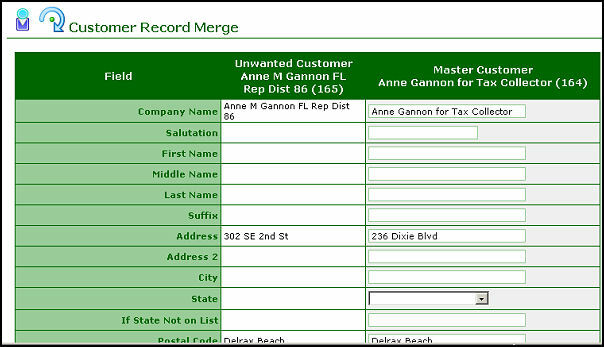 Collapse duplicate accounts into one while bringing in the order, invoice and payment history from the extra accounts. The duplicate customer records will be removed, but their history will attach to a customer account of your choice.